Zanotta, the company entering the domestic universe with ironical products, suggesting different ways to feel better at home, the first one to include in its catalogue works by the great masters of design, creating a peerless “collection” of masterpieces, that were awarded and exposed in the most important design museums. Zanotta, the company created in his own image by Aurelio Zanotta, a businessman with an instinct for the beauty, eccentricity and innovation to be experienced everyday. A person full of energy and passion who wrote an inimitable “recipe”, showing worldwide the endless wealth of research and creativity applied to the furniture design. 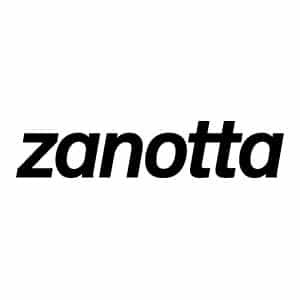 The story of Zanotta is one of sixty years of intuition and records, of risks and curiosity, and above all, of special achievements that few companies can boast: with over 550 products created, Zanotta has a position unto itself in the great world of design. A company and a catalogue difficult to imitate, with a philosophy “to produce culture and profit contemporaneously”, with the conviction that “the furniture industry must strive to anticipate future needs, not limiting itself to satisfying passive public demand”. An undertaking that remains still valid and which sees in the “beautiful, usable and durable” the objective that all seek in design today, and which Zanotta considers indispensable for the objects its collection, each of which being destined for daily life. amongst the companies that penned the first significant pages of the history of Italian design. Thanks to the encounters with certain personalities who are today legendary, intercepted thanks to its founder’s curiosity, instincts and charisma, the company had embarked on a distinct path, starting to take an interest in the latest technologies and new materials, whilst contemporaneously demonstrating a sensitivity towards purer artistic research, but above all, opening its doors of the company to the great designers. And thus it was that in the early 1970s commenced some forward-thinking, and for those years evidently visionary, re-edition projects. Zanotta approached the works of the father of Italian rationalism, Giuseppe Terragni, and within the span of a few years the Sant’Elia armchair, the Lariana and the Follia chairs entered the catalogue, being the latter the icon of the company for many years. With audacity and daring, the equally-celebrated Mezzadro of brothers Achille and Pier Giacomo Castiglioni was produced contemporaneously, having remained as a prototype since the times of the “Colours and Forms in Today’s Home” exhibition of Villa Olmo. Choosing from the past projects that are still relevant in the present became over time a common reoccurring theme of Zanotta, retrieving objects by Max Bill, Giuseppe Pagano, Gino Levi Montalcini, Piero Bottoni, Carlo Mollino, Joe Colombo and many others. All the “historic pieces” allowed Zanotta to construct a thread of continuity throughout its own collection with a glorious past, whilst also giving body to a project aimed at creating within the catalogue a micro-history of the evolution of Italian Design in the furniture industry, commencing from the beginning of the twentieth century. Zanotta had also comprehended that the world of contemporary art could comprise an important oxygen for design and the domestic universe. In the early 1980s, it started thinking about a real catalogue of objects with even more liberal markings, where the research and experimentation of less-aligned artists and designers could unite, and where the skillfulness of master artisans capable of creating objects on the borders between art and design could merge. A season that would take the name of Zabro and which, in 1989, would transform into Zanotta Edizioni: a place full of surprises, where the high-wired thoughts of Bruno Munari and Alik Cavaliere, Fortunato Depero and Alessandro Mendini, Ettore Sottsass and Riccardo Dalisi, Pierre Charpin and many others could shine together. In 1991, the collection was awarded the Recommendation of Honour of the Compasso d’Oro for its “strong cultural importance”. Objects, all, which are inspired by the tradition of Italian craftsmanship and which, liberated from the constraints of strictly-industrial production, demonstrate a strong component of the “handmade”, often recuperating disused techniques, such as inlay or painted decoration, or even other new and experimental varieties. All were objects with a limited production, of restricted numeration that increased their value over time. Exhibiting the results of one’s own work does not mean just displaying objects of production that have come into fruition after months and sometimes years of testing and experimentation. It also means presenting oneself by projecting in an ad hoc way to propose and communicate, synergistically and in affinity, one’s own new patrimony. To this aspect, Zanotta has always paid particular attention, from the now-legendary courageous and provocative productions of the 1970s, to the superb settings of Achille Castiglioni in the 1980s and 1990s, right through to more domestic but no less sophisticated imaginings of the Bertero-Panto-Marzoli stands of the 2000s, along with the new path undertaken with the projects of the Calvi-Brambilla studio. The Zanotta universe has been the subject of interest for hundreds of articles in major newspapers and magazines, of fashion publications and major television channels and websites. Its production has been received by hundreds of cultural exhibitions and has been the subject of three in-depth studies that gave rise to three books: “Furniture as architecture”, written by Stefano Casciani and published by Arcadia in 1984; “Zanotta. Design for passion”, written by Raffaella Poletti and published by Electa in 2004, and “Design: 101 Zanotta stories” written by Beppe Finessi and published by Silvana Editoriale in 2015. Ever since 1963, when Mario Scheichenbauer created the first symbol of a white “Z” on a black circle underlined by the caption “Zanotta Armchairs”, through to the project of Michele Provinciali who had become the artistic director of the company in 1966, and that of Marcello Minale shortly thereafter, up to the significant contribution of Pierluigi Cerri in the 1980s, attention to various aspects of communication has always been in the forefront of the company’s thoughts, both in the advertising campaigns of the 1980s and 1990s, to the present day with the project of coordinated images curated by Leonardo Sonnoli, one of the most significant international graphic artists of the generation after the maestros. It is he who redesigned the “Zanotta” logo, adding the “colon” as a declaration of openness towards the future, a particular sign of a company that is always seeking new worlds. 127 minds hailing from 18 different nations have left exemplary projects in the archive, in the memory and in the catalogue of Zanotta, thus scribing the best chapters of the personal history of these furniture designers. Because the originality of the project is always behind the choice of products destined for production, and keeping this objective at heart has enabled Zanotta to propose in an original way the work of the great forgotten masters of their time, together with some new talents, very often “discovered” for the first time, such as in the case of Roberto Barbieri in the 1990s and Damian Williamson and Frank Rettenbacher in more recent years. A collection characterised by a great heterogeneity, articulated today in over 200 products, amongst which are armchairs, sofas, beds, chairs, tables, furniture accessories, small tables, other furniture, outdoor products, plus numbered and limited editions. A collection of products made from different materials such as wood, steel, aluminium and other metals, marble and granite, as well as various plastic materials. Objects covered in dozens of fabric types, available in a wide range of colours and in various types of leathers, all to offer an effective response to the needs of the client and the demands of the market. The attention to detail of each aspect of the production and the precisely executed craftsmanship carried out by many steps along the production path allows Zanotta to create even highly-customised objects, thus substantially unique, according to the special requests of a sophisticated clientèle. “Custom-made” executions range from the choice of “customer’s own fabrics” for the production of upholstered items through to the creation of “special pieces” in accordance with the client’s needs, the sensibility of the designer and the catalogue of the company itself. The great variety of languages present in the Zanotta catalogue has allowed for the products to integrate with agility, culture and taste in the best examples of contemporary interior design, from the houses designed by great architects to hotels, restaurants, museums and the most representative offices created within the past three decades. It is specifically for a certain type of supplies, destined towards a more sophisticated kind of contract, that the Zanotta catalogue proves particularly suitable: when it is necessary to offer, beyond the technological and construction quality, also diverse varieties of styles so as to accommodate the different identities of the best international designers. Quality is the word entrusted with the task of explaining the Zanotta product with efficiency. Quality of the materials utilised, always of top choice, of the technologies employed and the work done with artisan care, so as to enhance even further the unique characteristics of the wood, metals, leather and fabrics utilised. Not least is the quality, the implied excellence, of the design of the objects produced, that by the hands of the best designers results in models that are innovative and points of reference for the entire world of design. Quality that signifies prestige in the finishing, attention to detail, functionality and comfort. Quality that is synonymous with safety and durability over time, characteristics found in each product of the Zanotta collection, being tested via endurance testings conducted for compliance with the strictest regulations and to attain the standards to which the company refers. Quality which means excellent after-sales service and support: an uncompromising commitment towards ensuring consistent quality over time, via enduring products designed and produced to be long-lasting, and for which Zanotta proposes a unique and “made-to-measure” assistance, with spare parts, coverings and other types of maintenance offered even many years after initial purchase. Quality that also implies credibility and reliability: Zanotta is a founding member of Altagamma, an association that, since 1992, has gathered Italian companies of excellence, whose brands are renowned at an international level, and whose mission is to promote high-profile Italian industry and the culture that sustains it. The work leading to the creation of the objects that enter the company’s catalogue involves a long process of study, discussion, prototyping, testing and the final definition of each minimum detail: work that occurs in constant and direct contact with the designer, the connection with whom is at the core of the success of the Zanotta brand and the uniqueness of its products. Several dozen materials and technologies are employed in the production, including aluminium die casting, rotational moulding, polyurethane foam expansion, forging of metal, fusion of bronze, injection moulds, as well as many types of artisan methods, such as wooden inlay and polychromatic decoration done by hand. Zanotta complies with UNI EN ISO 9001:2008 international standards for quality management systems and OHSAS 18001:2007 for health and safety in the workplace. It has also obtained the product quality certification TÜV PROFICERTproduct. The procedure for the product certification is presently applied to a selection of recent productions, with the certified products having been scrupulously examined to verify their compliance with the specified prerequisites, including those connected to the supply of fireretardant elements, an obligatory parameter for use in certain countries. There is a continuous striving for improvement of industrial processes and of the entire organisation: an integrated approach aimed at ensuring each activity of design, production and distribution is conducted in complete respect of the environment and of the health and dignity of persons, so as to guarantee a high quality of life for future generations. The production of the items takes place mainly within the Nova Milanese factory, which extends over an area of 16,000 square metres, with around 90 employees, of whom the half are directly engaged in manufacturing, true skilled artisans in the particular processing of leather and fabrics for upholstered items produced internally. Within the company operations of assembly and finishing are carried out for certain models of chairs, tables, accessories and various furniture items created by the most technologicallyadvanced suppliers in Italian production, largely operating in Northern Italy. As such, Zanotta production is 100% “Made in Italy”. The commercial distribution is supported by 3 Flagship Stores (Milan, New York and Miami) and more than 800 selected resellers, with a presence in over 60 countries and with a quota of exports exceeding 80% of turnover. NEED MORE ZANOTTA INFORMATION ?